This rich black tea is delicious steeped a second time. We experimented with various steeping times for this tea and found that it reveals its best flavor at a 5-minute steep. Ditto for the re-steep. It is virtually impossible to oversteep this leaf, it just becomes more and more ‘jammy’. 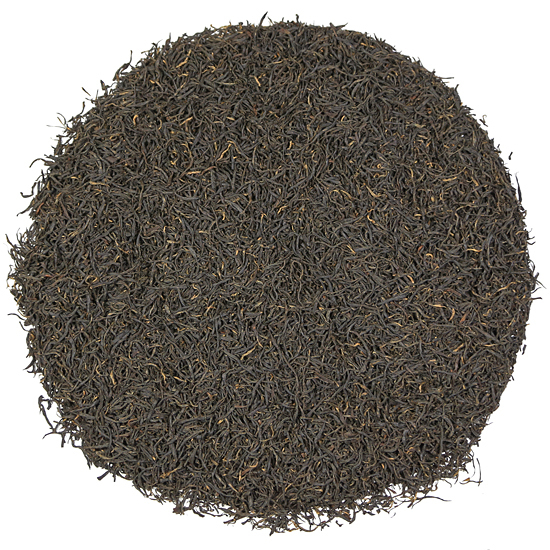 We are as excited about this new tea as we have been about any black tea in a long time. WOW! 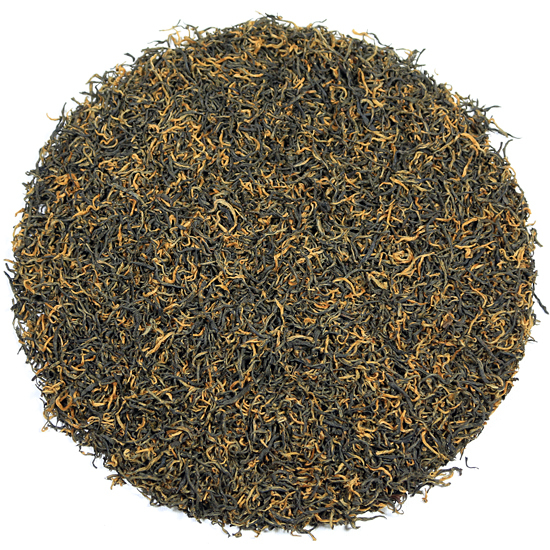 This is definitely a world-class black tea in the style of many of the eastern China Wu Yi black teas that we have had in the recent 3 or 4 years – and most of those have been truly exceptional examples of a well-manufactured black tea. This elegant black tea hails from Hunan Province, an historically-important province for tea production, but one that many tea enthusiasts are not particularly familiar with. Tea Trekker has had many fantastic teas from Hunan Province over the years and this is the latest addition to that stellar group. Tianzi Shan, Emperor Mountain black tea is both mellow and richly-smooth, complex in taste, shows a flavorful deliciousness, and is a very complete tea with a huge flavor profile. We can’t emphasize enough the concentrated flavors and hearty richness that this tea has and that will treat your palate to a wonderful tea-drinking experience. Starting with the initial stone-fruit flavors that tingle the front of the mouth, and then followed by the rich body that saturates the entirety of one’s mouth we have found that there is much to appreciate in the complexity of this tea. There is a slight woodsiness, a little of the ‘tree-bark’ dryness of some China oolongs, that intense ‘raisiny’ or dark plum/dried fruit ‘jamminess’, and a full, lingering after-taste. The aroma is intriguing, with elements of cacao, fully ripe drupes (stone fruit), and a hint of biscuit or toast. 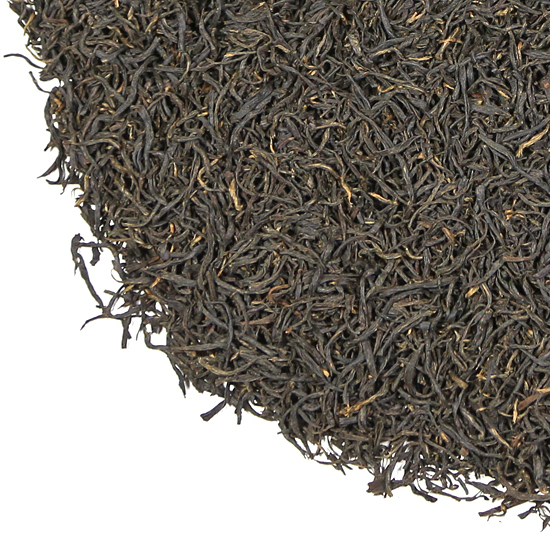 Like many well-made premium Chinese black teas, this tea is whole leaf and smooth and soft on the palate. One can add milk or not, but to enjoy it as the Chinese would, it is best drunk plain. Our Tianzi Shan black tea comes from a tea garden located near to the Zhang Jia Jie National Forest, known to millions as being the primary visual inspiration for the movie Avatar. Both are located within the Wulingyuan Scenic Area, recognized as a UNESCO World Heritage Site in 1992. Today this region is equally famous for being home to the world’s tallest lift (passenger elevator) and the world’s longest and highest pedestrian bridge. Tianzi Shan is known as The Son of Heaven Mountain and from its heights one can see four main natural scenes, depending on the season of the year: The Sea of Clouds; The Snow in Winter; Rays of Sunshine; and The Radiance of the Moonlight. Similar to the scenic depictions that we have observed on the HuangShan in central China, these viewpoints are the creations of rocks, firs, cliffs, valleys, and clouds & mist (combined with poetic and artistic license!). Stunning nevertheless and worth a detour if you happen to be visiting eastern China.